Made from four simple elements – a pressed steel tractor seat, a modified tractor seat spring, a bicycle wing nut and a wooden stabilising piece shaped like the rung of a ladder – this stool embodies one of Castiglioni brothers’ typical approaches to design, utilising ready-made parts to create a new object. These Duchampian objects incorporating ready-made components were an important part of Castiglioni brothers’ work of the period. For instance, the Sella stool (1957) used a bicycle saddle for the seat, and the Toio lamp (1962) is constructed using a car headlamp unit and fishing rod parts. There is a certain playfulness to these objects, but it was born out of a sound design philosophy and a sophisticated wit. First shown at the 11th Triennale exhibition in Milan, in 1957, it was also part of a living room display for “Colours and Forms of the Home Today” at Villa Olmo, Como, in the same year. 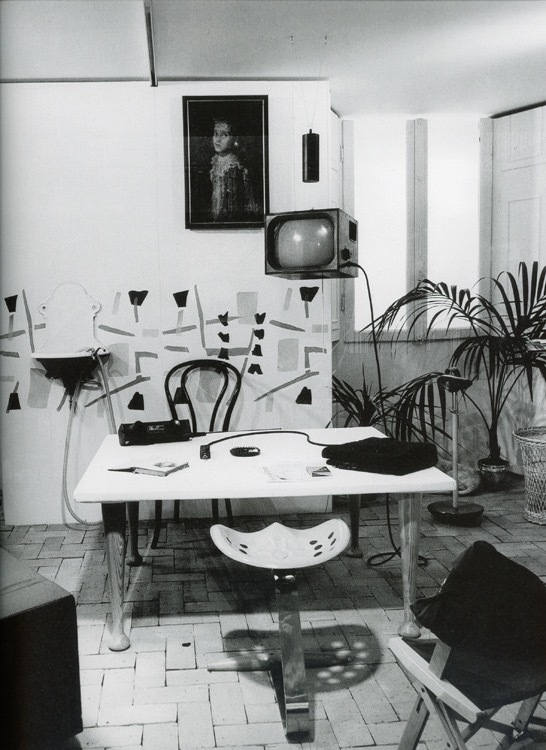 This was a defining display incorporating everyday objects and items designed by Castiglioni brothers, in a carefully calculated interior which underlined the concepts behind their design philosophy. We would like to say a big thank you to Fondazione Achille Castiglioni and Dott. Giorgina Castiglioni for their kind permission to use the design in our product. 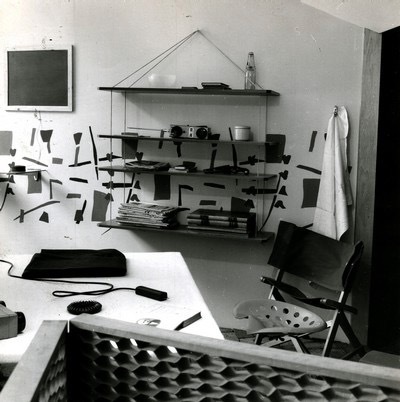 The room setting for this paper model is referring to a room installation named “Colours and Forms of the Home Today” in 1957. 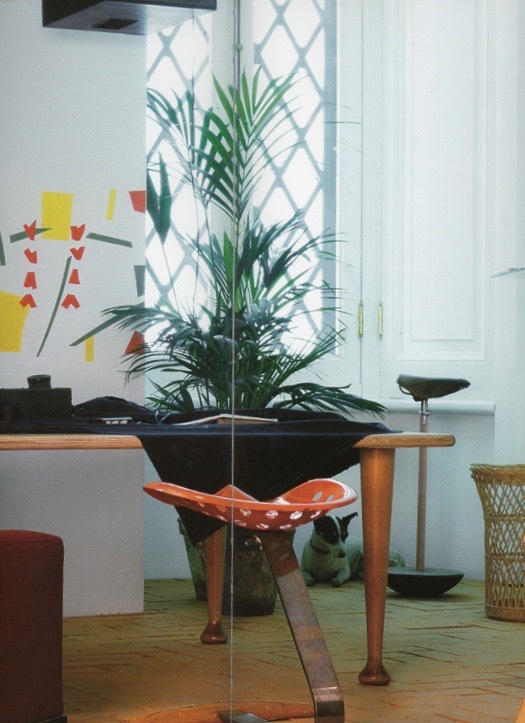 This exhibition was held at Villa Olmo, Como, and the Castiglioni brothers made a re-construction of a corner of their studio in Milano, incorporating their designs together with found objects they were surrounded by, such as a cane waste basket, a milking stool and a military folding chair. 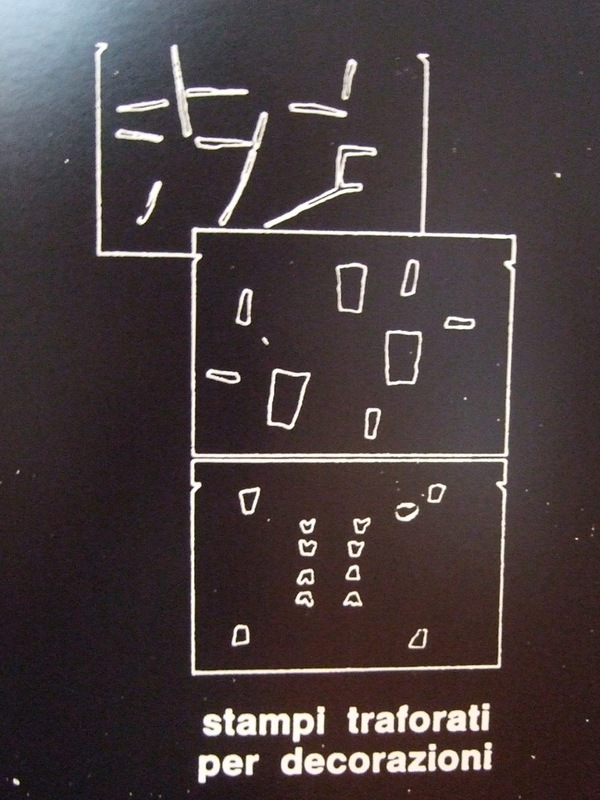 They made template patterns for the stencil decoration on the walls of this installation. That playful mind is revived in our 1:16 model – where you can use the templates and sharp coloured pencils, to stencil on your 1:16 wall. One of the Castiglioni brothers designs for this installation, the hanging shelves ‘Libreria Pensile’ was re-introduced to the market in 2016, by Danish manufacturer Karakter. An article about the brother’s collaboration and early sketches are featured in the May 2016 issue of Wallpaper magazine, page 161-162.